Hello I'm L, But you can call me the Queen Of Natural Elements lol or just L for short. The information I' m about to give you is one of nature most useful pieces of knowledge you will proablely get from me EVER. It has been around for centuries, about 4000 years to be exact, in the Vedic culture in India, where it was used as a culinary spice and had some religious significance to the natives there, it reached China by 700 ad, East Africa by 800 ad, West Africa by 1200 ad, and Jamaica in the eighteenth century. It has been used as medicine to treat a wide variety of health problems, going from pain control of most types, Inflammation ( which is a leading cause of pain) and believe it or not to fighting cancer. Now when I say MOST types that's exactly what I mean...My mom uses it as a supplemental treatment for her Degeneritive Joint Disease, one of my best friends that suffers from Chrones disease and needs to keep down imflammation and pain uses it daily and so do I to naturally fight and control inflammation in the brain and spinal cords from Multiple Sclerosis a disease of the central nervous system where inflammation is one of the leading causes of progression in the disease. Yass honey, it is Turmeric. Surprised? So was I but it's been one of the best things I have ever found for inflammation and pain of all types. What's the amazingly magical substance in this nature prescribed medication and natural spice well it's called Curcumin, which gives turmeric its golden color and its many health benefits, and most importantly it has been well-studied over the past decades and has been scientifically proven to work if used in the correct dosage . It works as a powerful antioxidant and has anti-inflammatory and antiseptic properties. But that’s not all… turmeric is jam packed with healthy nutrients such as fibers, calcium, vitamins and minerals. It is non-toxic, even in high doses, and doesn’t usually cause any side-effects. However some people may experience an upset stomach, nausea or dizziness. If this is the case, turmeric must be used in moderation to reap its benefits. STILL UNSURE ABOUT THE BENEFITS OF TURMERIC? Make your own homemade tooth paste and you can also sprinkle some on your commercial or other homemade tooth paste and brush as usual. Did you know that in fact, women in India often use turmeric in face creams and body scrubs to boost the glow factor; sprinkle in a bit at a time until you have the proper tone. 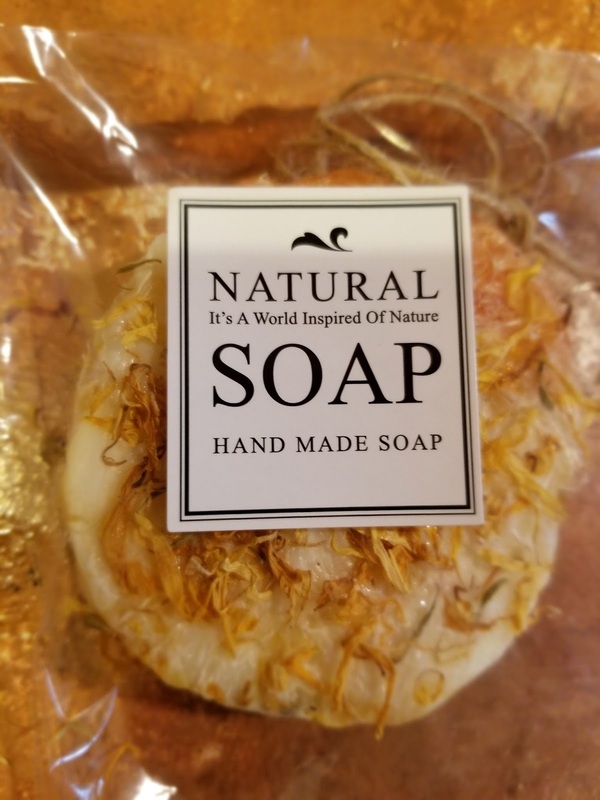 If you make your own handmade soap like me, adding several teaspoons of turmeric to it will not only dial up its color, but will boost its skin-friendly benefits as well. Make a mix of turmeric and the oil of your choice (jojoba or coconut oil would be nice), massage into your scalp and leave on for 15 minutes, then shampoo and style as usual. Use turmeric to create golden Mehndi, the temporary tattoos made with henna. A traditional homeopathic sprain treatment involves making a paste using one part salt and two parts turmeric and enough water to make it spreadable. Apply to the affected joint and wrap in an old cloth that you don’t mind staining. Leave on for 20 minutes to an hour, once a day. (Don’t do this on body parts that can be seen; you don’t want a temporary yellow tinge!) Also of note: the University of Maryland Medical Center suggesting turmeric to help reduce sprain swelling and makes the effect of bromelain (an anti-inflammatory derived from pineapple enzymes) stronger. Take 250 to 500 milligrams (mg) each of turmeric and bromelain, three times a day between meals. Using warmed garlic oil to help push the water out of ears affected by swimming; adding turmeric to the mix is said to help as well. Turmeric has been long used to tame upset tummies that aren’t behaving properly. A 2013 research study showed that taking 500 mg of turmeric a few times a day can treat an upset stomach. For osteoarthritis, use a specific turmeric extract like Meriva or Indena to help relieve joint pain. The curcumin in turmeric may delay liver damage that can eventually lead to cirrhosis. People in Okinawa, the Japanese island nation with the world's longest average life span, drink turmeric tea daily. To make your own, boil four cups of water, add one teaspoon of ground turmeric, allow to simmer for 10 minutes, strain, and add ginger and/or honey and lemon to taste. Yes, turmeric stains fabric … which means that it's an awesome fabric dye. Add three tablespoons of turmeric to a pot of boiling water, let it simmer for a while, and your dye bath is ready. There’s something magical about mashing up natural dyestuffs in bowls and watching hard-boiled eggs transform into the jewel-like colors found in nature rather than in the lab. Beet juice, onion skin, blueberries, and of course, turmeric all do a bang-up job of the task. If there’s one thing turmeric is famous for, it’s the starring role in Indian curry. (There comes a point in every young Western cook’s life when they realize that curry isn’t one single spice, but a blend of many.) Making your own curry blend is simple and tastes remarkably bright and fresh; and you can customize it to reflect your personal taste. No “uses for turmeric” article would be complete without reminding the reader of all the wonderful food that can be made with turmeric, even if it may not be the most surprising use on the list. Turmeric cake? Indeed. This Lebanese dessert is not too sweet and has an odd little earthy kick to it compliments of the turmeric.